college tours, brag sheet building, how to use the Junior Guidebook, and ACT/SAT test prep. Want more information on the CCC? Visit our website at www.nahscollege.org for more info. 8As your new college advisers, Miss Thomas and Miss Vilfort would like to welcome you to the 2018-2019 school year! In order for us to best help you formulate your postsecondary plans, please fill out this survey! Once you fill out the survey, go ahead and request to make an appointment so that we can get started with your college application journey! Make sure to sign up for our Remind 101 so you can get all the latest texts and updates about announcements, college information and deadlines! 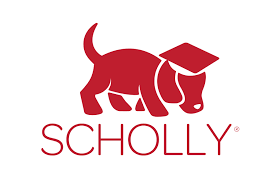 Scholly is a scholarship matching platform, available in your phone's app store that allows you to apply filters (ethnicity, major, gender) to find scholarships that match your profile. Available in smart phone's application store. Stay up to date with the CCC or send us an email if you have any questions!